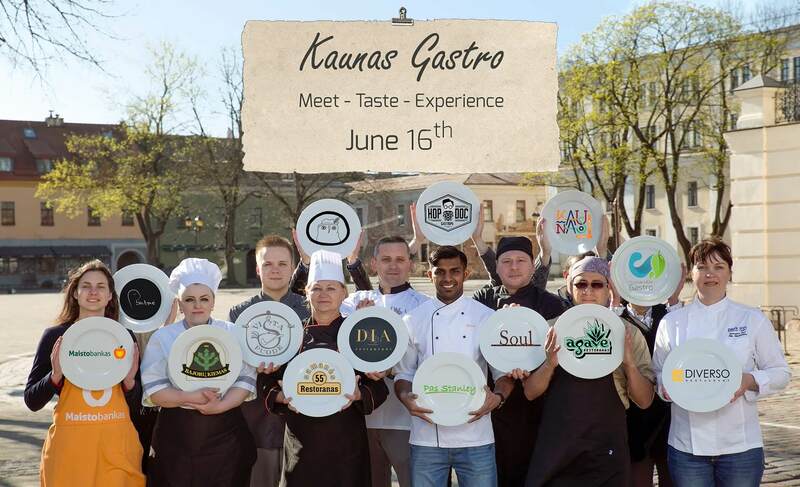 To take part in Kaunas Gastro 2016, first you have to choose between two different routes; Kaunas Gastro YELLOW and RED. They are assembled with a good variety to give you a complete experience among the city’s restaurants. See all places per colour on our map here. Both colours give you 6 restaurants and a finale, but a restaurant is only found in one route. Remember that if you are to walk together, choose the same colour on the route so that you end up in the same places. You can only visit the restaurants that are shown on your chosen colour. • Buy your voucher at Tiketa. • Follow the instructions on the voucher, to get your Kaunas Gastro multi-venue ticket. – Dance studio “Red” that will show an array of dances, and the audience is welcome to join in. – Pop-up patisserie with pastries and desserts, made by future culinary stars of Kauno Kolegija students. There’s no fee for a restaurant to participate in the event, all you need is to be open for the event’s guests during the evening, and offer a sample of your speciality to the guests with admittance. We ask that you use and promote local products. This is the perfect way to advertise your restaurant, for a fraction of the cost of regular advertising, and you’re getting people to come to you! Just contact us here to join, or if you have questions! 1) Amazing. Felt like a treasure hunt in a city I now call my home. 2) This event is very interesting and unique. 3) I didn't like the fact that two dishes were almost the same. The event overall was very good though. 4) Very good way to know different restaurants in just one night! Keep up good work guys.